Leaders are accessible and straightforward. Employees are accessible and can reinforce the public view of the company by providing superb customer service, when appropriate. Ethical behavior, fair treatment, and other values are on full display. It’s culture. How a company does things is more important than what it does. Successes, failures, victories, and problems are all communicated. Results of business practices, good and bath are communicated. Business practices are aligned with the business strategy. Misalignment can results in disaster. The reasons why certain organizations have productive and lively workplaces go beyond hiring efficient employees and paying competitive wages. Workplace transparency can increase employee happiness, productivity and decrease the turnover rate. 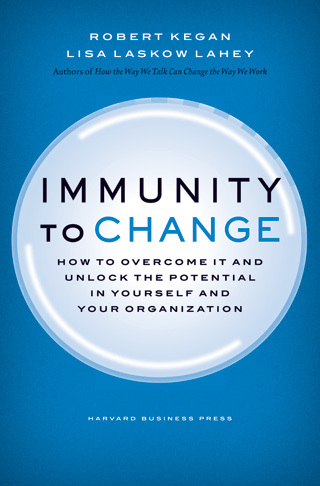 The responsibility of introducing transparency into the workplace falls upon the shoulders of management by keeping employees up to date with workplace changes. Communication is key; it can be as simple as carbon copying your employees in your emails. Thanks to the evolution of social media, transparency is no longer an option. It is in the organization’s best interest to talk openly and behave ethically. Some recognized transparent organizations are Wholefoods, La-Z-boy, and PriceSmart. These organizations model openness and integrity. When organizations announce their motives to the public it allows the public to hold the company accountable. Despite what we might have been told (by others or ourselves), there is a leader in all of us just waiting to make an impact. The ability to lead is one of the most sought-after traits to have as a human being, for it demonstrates bravery, a clear vision and stability. But oftentimes, leadership can go to a dark place, and an ordinarily fair person can quickly become the opposite if they are not grounded in reality. In this post I’ll be looking at how leadership can go bad, and what people can do to regain the strength to be a positive leader. So how can problematic leaders take a turn for the best? The first step is to treat your so-called “subordinates” as equal players in the game of success. Listening to them and focusing on their strengths instead of their weaknesses is not as difficult as it seems when actively applied. Matching an employee’s personal strengths to responsibilities around the workplace makes for a huge success. Clear and concise planning free of haste shows a combination of accuracy and logical thinking. Strong problem solving, being proactive and brainstorming with team members are also excellent strengths to have. But more importantly, striving for success as fairly and efficiently as possible is a surefire way to becoming a prominent and productive team leader. Simonton, Bennett. “Good Leadership vs. Bad Leadership.” Web log post. Www.bensimonton.com. N.p., 2012. Web. 8 Aug. 2012. Last year I researched variables that generate success for small businesses in an ever-changing economy. Primarily, I wanted to prove that well-structured training programs are the core on which all other factors stand to warrant a company’s merit. I referenced my learning experiences from relative academic courses and my personal work experience at small companies. Additionally, I gathered data using Google Scholar and OhioLinks as research tools for academic articles that supported my hypothesis. Business success, business development, training programs, and Fortune 500 were just a few of the key phrases I used. With additional supporting evidence from scholarly articles, I proposed training programs were the common denominator among the most successful companies at the time. Furthermore, my research unveiled the basic fundamentals for training that can be incorporated in almost any industry. The article I found most useful came from the American Society for Training and Development (ASTD). I highly recommend referring to this organization for the latest trends in training and development. This past week I attended a WebEx about merit increase guidelines for my staff for fiscal year 2012. This is the first time my organization offers such training and I was really taken back to hear that we will be receiving a merit increase this year. My organization, like many others have not offered their employees a merit increase in a few years, if not longer. It turns out that most organizations are giving anywhere from two to three and a half percent increase in 2012. The truth is that what your organization should pay in merit increase depends on many factors. Some factors include, what is going on in your market, what is the demographic of your workforce, and how your organization differs from the norm. Just looking at the average in your company in your area is not enough. Say a sales person in the industry may be at three percent. Even though you are not a sales company but you have staff in sales, you may consider giving the sales staff a three percent merit increase. If you do not stay competitive, you may fear losing the sales staff. Earlier in your career there is a positive correlation between higher pay and each additional years of service. For example a staff member with one year of experience the difference between one year to two years may be up to a four percent but a staff with 15 years of experience the difference in pay with only one more year of experience may just be one percent. If your organization is performing better than its competitors, it may warrant an increase higher than the average. Also, the average should be based on what organizations are paying competitively with market.